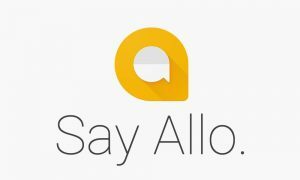 Phil Talks Tech » Technical Opinion: Allo may be more than it appears to be! Allo is here and it’s a nice looking app, but we can’t help but feel there’s something … missing. While the look of the app is really slick and the interface is nice, there have been some negative comments on the reviews around the web and that seems to be representative the feedback we’re seeing at the moment. The first thing we think Allo probably should have, and doesn’t, is the ability to be used on more than one device at a time. Even something as simple as SMS can be (kind of) multi device, with the use of apps like Pushbullet to let you send SMS from your tablet or your desktop. Popular third party messenger apps all have varying degrees of multi-device capability; Telegram works seamlessly across multiple devices, desktops, laptops and basically every modern device that exists. Facebook Messenger works well across platforms simultaneously too. Even WhatsApp (which never used to work on multiple devices) allows you to message from another device using their web interface. Allo has none of this. Leaving out integration with SMS seems to have been a major disappointment. Everyone has been waiting for Google to introduce an answer to iMessage for Android, and Allo was thought (perhaps in error) to be that answer. Well, it isn’t. In Australia, at least, SMS is generally free (or unlimited) for most mobile users, so having some sort of easy SMS bypass really doesn’t matter that much. Elsewhere, this might be more of an issue, but in Australia? Not really. Allo, as a messenger service, really isn’t significantly different to anything else out there. There’s stickers, file sharing, secret messages, self destructing messages and more. It’s like Telegram, WhatsApp, Facebook Messenger, Kik, and basically every other messaging service that’s been around for years in that respect. … which leads to the next important points when it comes to Allo. The Google assistant is currently sitting somewhere between gimmick, niche and outright brilliance and as a component of the Allo app, it has received its fair share of feedback and criticism. The gimmick side is covered when you look at the work of our Editor in Chief at Ausdroid who spent reasonable time with the app prior to its public release put together a list of fun things to do with Google Assistant. It’s niche, because Google Assistant doesn’t really do anything that you can’t already get Google to do. How many of us honestly want to interact with Google via a chat interface? OK Google and Search work just fine, and I don’t feel a need to message Google to get the same results. Of course, there are benefits to the Assistant way; you don’t have to be online — you can queue up a request and Google will get back to you when you’re back in a signal area. But for most of us, those circumstances are few and far between, making the benefits of a chat interface to Assistant somewhat less useful. For me, the brilliance is the development of the voice recognition from Google Now and Android Wear which are leaps ahead of previous iterations of the function, into what is now a naturally interactive experience. The recognition extends to not only the words you’re saying but the natural flow of speech and even Australian accents now. Did Google intend to compete with other messaging apps, or is it up to something else? This got me thinking, what if Google don’t necessarily want it to be a competitor to Whatsapp? What if they don’t want it to be a replacement for your SMS application? What if what users are seeing as features missing is very deliberate on the part of Google to ensure that they don’t have eighty million users? Perhaps what they’re looking for is some real world test cases for only a single component of Allo. When I backtracked to Google I/O this year and thought about the announcements, looked at the interface and active components there is something that stands out to me – Google Home. How good would it be to get the Assistant out there in the wild, gathering data and in particular voice input from real world users for analysis and the long term better capability of Google Home which has the very real possibility of being a blockbuster product for Google and a lifestyle change for users. I believe that Allo may be a sacrificial lamb, sent out to slaughter in order to get a heap of very useful, real world data pumped into the Google Assistant which is the centrepiece of Google Home. Knowing full well that they would get data smashed in for a short period of time, perhaps only a day or two for some users then dwindling down to the steady flow of data that they’ll get from the faithful few who will continue to use the app steadily (providing more and more data to Google to improve the product) because they have a few acquaintances who will do so with them. So while on the surface it may be a feature lacking product, before you judge it too harshly based on what you see – Think about what you don’t see and what could be behind the product. When I took the time to think about it, I found a potential explanation as to why a company that deals with generally outstanding products would release one that is seemingly well below par for them. Do you think this is a plausible explanation for Allo’s apparent failure to deliver on expectations, or have Google simply dropped the ball? Thanks to one of Chris Rowland, Dep. Editor in Chief of Ausdroid (and friend) for your assistance putting the structure of this piece together. Feels like a work in evolution to me, and a necessary one, given Apple’s Message and FaceTime. It is a work in evolution, but it isn’t an answer to iMessage and Facetime; restricted to one device, can’t use from a desktop … it’s not great by comparison.